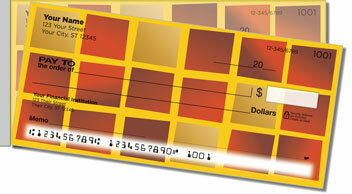 The perfect pattern of parallelograms makes a check design that is simultaneously traditional and original. 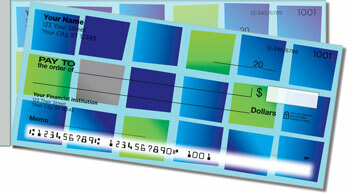 Each of the four checks in this set features an eye-catching color combination, which provides much-needed variety after years of staring at boring blue bank checks in your checkbook. 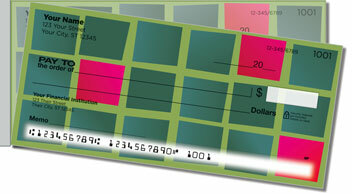 Colorful Tile Side Tear Checks are a tasteful way to add some personal style to your personal finances without going overboard. 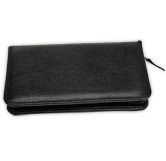 This convenient product has a side perforation, which allows you to pull checks from the pad without worrying about unintentional rips. Get your own Colorful Tile Side Tear Checks now! 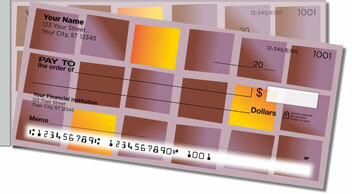 Order matching address labels to complete your purchase.